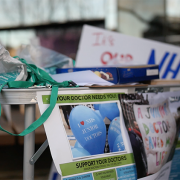 Tower Hamlets residents have the lowest healthy life expectancy in London, new figures from the Office of National Statistics have shown. Healthy Life Expectancy (HLE) measures the average number of years that a person can expect to live in “full health.” People from Tower Hamlets can expect to enjoy just 57 years of good health compared to a London average of 64 years for women and 63 years for men. For the first time, healthy life expectancy (HLE) figures have distinguished between deprived areas within local council authorities. 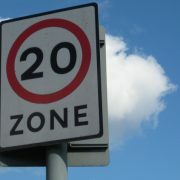 While previous data only highlighted health inequalities across geographical regions of England, the latest report separates much smaller areas according to their deprivation scores. Women living in the most deprived areas of Croydon can expect a HLE 15 years shorter than women living in the lesser deprived parts of the borough. For men the difference is 13.8 years. 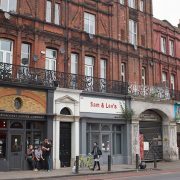 The highest level of inequality within a London borough was observed in Kensington and Chelsea, where the difference in HLE for men was almost a quarter of a century. The variation among females was 21.2 years. Newham proved to be the most equal borough in terms of HLE with inequalities of just 3.8 and 3.1 years for males and females, respectively. In Hackney and Lewisham, inequalities within the boroughs ranged between 6.9 and 8.8 years. 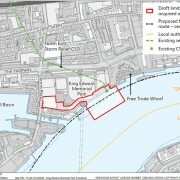 The figures were based on information collected between 2009 and 2013. 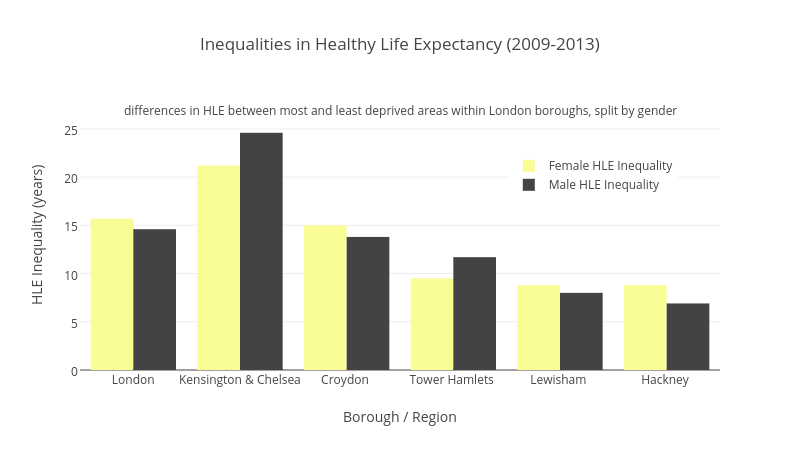 Hackney recorded the second lowest HLE for males living in London at just 57.9 years and the third lowest for females, who can expect to live in good health for 58.1 years. 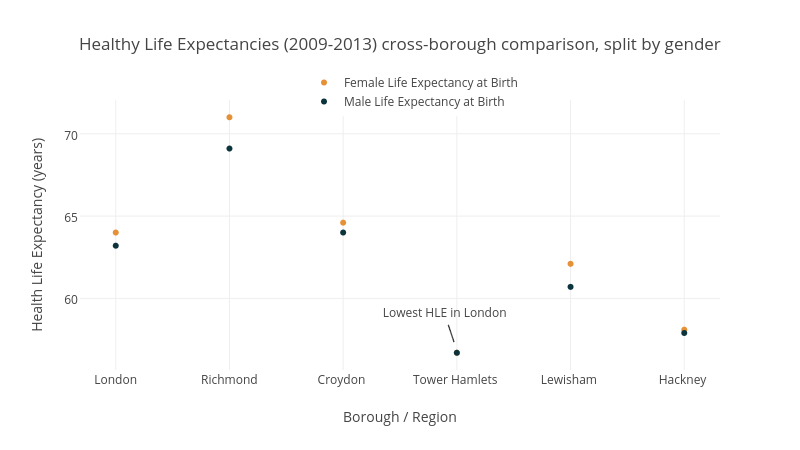 These average life spans are over a decade shorter than Richmond’s, which records the highest HLEs in London at 71 years for females and 69.1 years for males. The average HLE in London is 64 years for females, slightly below the national average of 64.8. 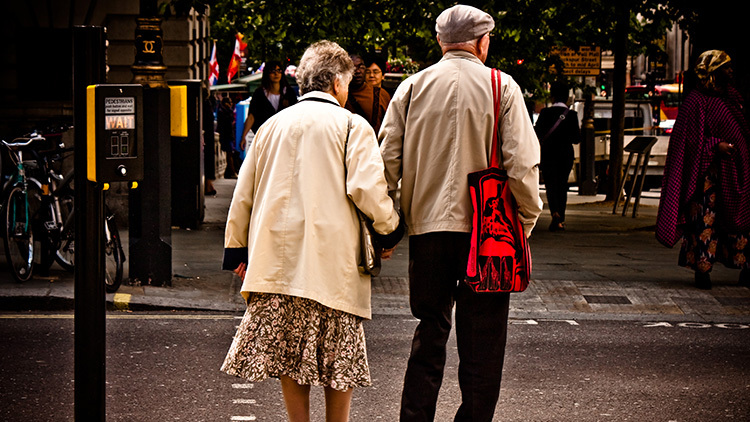 Men in London can expect to live in good health for 63.2 years, slightly below the national average of 63.5 years.